Enjoy fried foods without adding oils, fats or cholesterol. 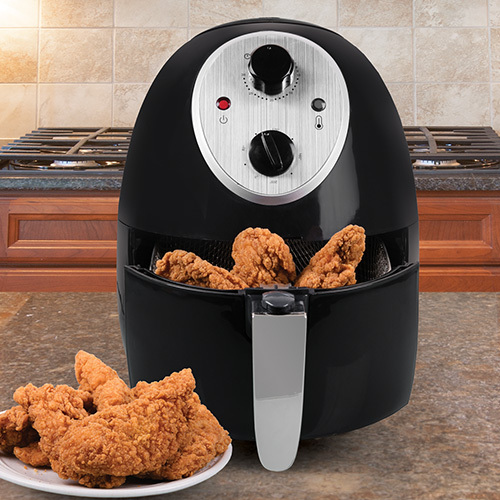 This Savoureux Pro Line™ Air Fryer prepares all of your family's favorites - from chicken and fries to onion rings and fish. 11" x 13" x 13.4"
Dimensions 11" x 13" x 13.4"